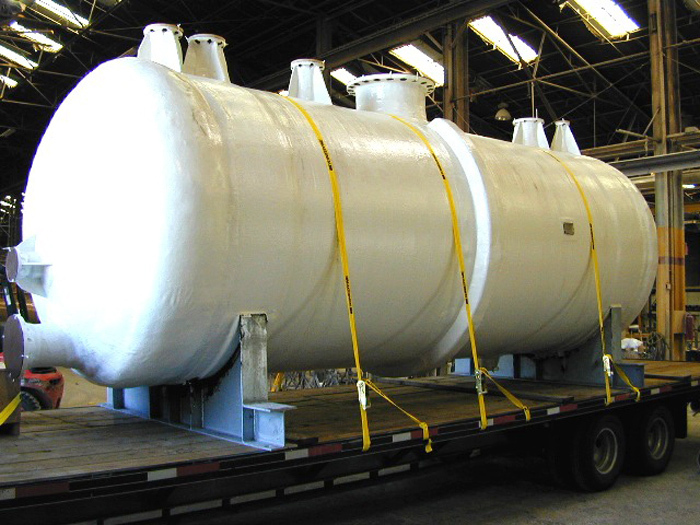 Fiberglass tanks, fiberglass vessels and processing equipment are available from Beetle Plastics fabricated from any specialty or common fiberglass thermoset resin of your choice. If you need design assistance, just provide your Beetle Plastics representative with the details of your service requirement and Beetle Plastics engineering will take it from there. Processing equipment specifications can include the manufacture and installation of the internals by Beetle Plastics; or provisions made for customer intstallation of the internals after delivery of the vessels. In any case, Beetle’s staff of experienced design engineers will provide you with complete specifications tailored to meet your precise needs. Every project for Beetle is a custom project. Seldom are any two projects identical, due to the diverse needs of our customers. Beetle Plastics engineers and fabricators know how to do it right. On time.